The campaign is designed to increase the awareness of the benefits of a Catholic education for children in the Virgin Islands. It encourages Catholic families to enroll their children in Catholic schools which offer not only an excellent academic curriculum, but one that is rooted in religious and moral teachings. Members make presentations in different parishes, create ads for the newspaper and radio, organize social events for school alumni in an effort to raise funds for the campaign, and reach out to parish members who are sending their children to public schools. Catholic Charities have applied for grants to expand the size of the Halfway House, in order to accommodate more families who are in transition, and presently homeless. The existing facility was renovated with the help of our Knights and Dames. They donated building supplies, and assisted with the painting and renovation. Our members are working with Catholic Charities on the planning and construction of the new facility. Nana baby Home provides shelter and food to children from birth to age 12 who have no one to care from them. Some are picked up by volunteers in the middle of the night from the hospital where they have just been born, some are brought to the home by friends or relatives who cannot take care of them. The ultimate goal is to reunite them with their family, and if it is not possible to place them in foster home. Nana Baby Home relies on donations from the community and some help from the government to operate. They are open 24/7, every day of the year. 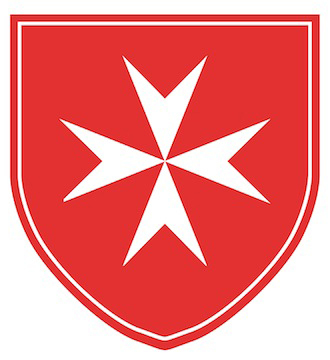 It was co founded by a Knight of Malta who gives a lot of time and financial support to it. Other Knights and Dames are getting involved in obtaining food and supplies for the home. Members of the area are working in conjunction with parish priests on St Thomas to make the teaching of Billings Ovulation Method, a simple effective Natural Family Planning method, part of the Pre Cana sessions. The goal is to offer young Catholic couples who are planning to get married an alternative to contraception. We are trying to make this training a mandatory part of Pre Cana for all couples getting married in the Church. An effort to support the work of the Sisters of Charity on St Croix is underway. The Virgin Islands members will be supplying the Sisters who have access to the prison with reading material both in English and Spanish for the prisoners. A similar effort will be made at the jail in St Thomas, trying to reach the prisoners. Access is very difficult to obtain bur we are confident that we will find a way. Knights and Dames are involved in building a Rosary Garden at Our Lady of Perpetual Help church on St. Thomas, and at Holy Cross church on St. Croix. Parishioners are buying engraved commemorative bricks which will then be laid down in the shape of a cross with the Order of Malta emblem in its center. All proceeds of the sale will go to the Order of Malta Catholic Schools Scholarship fund.